For over 20 years, Northwest Fire Suppression, Inc. has established itself as the leader in the Pacific Northwest in providing the highest level of design, equipment, installation and service of Fire Alarm & Detection Systems to our customers. 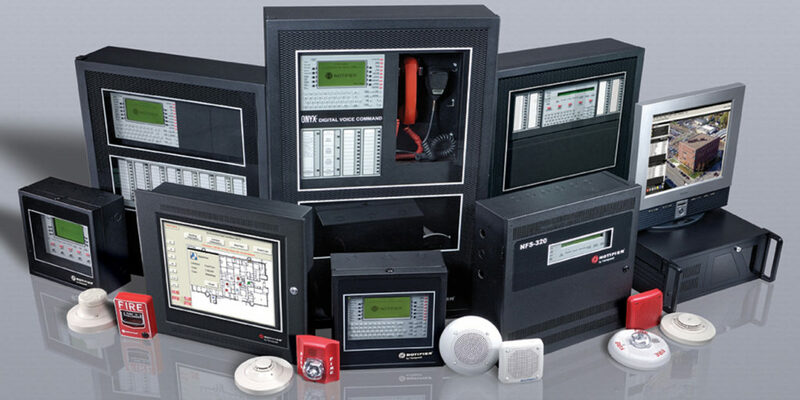 We are proud to represent the product line manufactured by NOTIFIER, a Honeywell Company. The flexibility of the NOTIFIER product line allows us to provide solutions for a single zone conventional type fire alarm system to a multi-building campus-wide networked fire alarm system with integrated mass notification voice evacuation capability. We are the only NOTIFIER NESCO Affiliate Distributor in Oregon, which allows us to offer additional benefits over our fellow NOTIFIER Distributors. These benefits include lower product costs and a 60 month extended manufacturer limited warranty in lieu of the standard 36 month manufacturer limited warranty, which most distributors offer. Our goal is to develop and cultivate lifelong relationships with our customers. We are passionate about becoming partners in the management of your Fire Alarm Systems so you may focus on what you do best – run your business. Our approach to business is to create a positive, results oriented working environment by exceeding customer expectations. Implement a detailed system deployment process that is efficient and effective. If you think we might be a good fit for your needs, please contact us and we would be happy to discuss our capabilities in greater detail. We at NWFS happen to think Fire Protection and Fire Alarm is critically important. Each day thousands of our service clients rely on NWFS for their fire suppression and fire alarm protection. Our list of high profile customers include: NW Natural, Comcast Cable, the University of Oregon and Verizon to name but a few. There’s a reason these customers have chosen NWFS. We have earned their trust. As both a systems installer and service provider with unparalleled experience in the fire alarm and engineered systems segment of the fire protection industry. We take satisfaction in knowing our customers have one less concern to worry about in managing their day to day business!